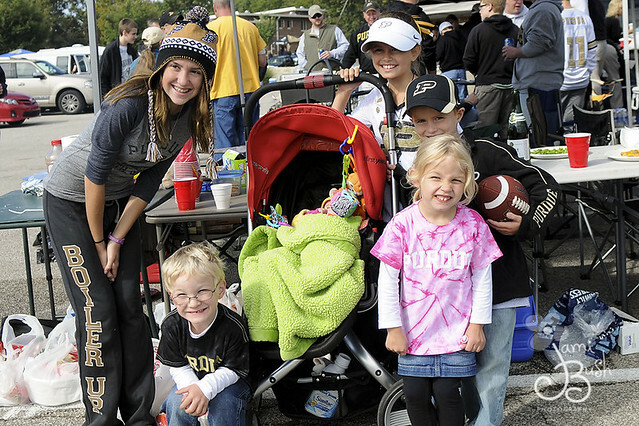 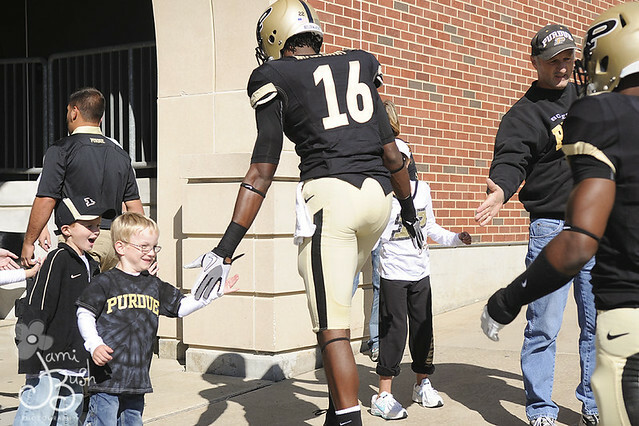 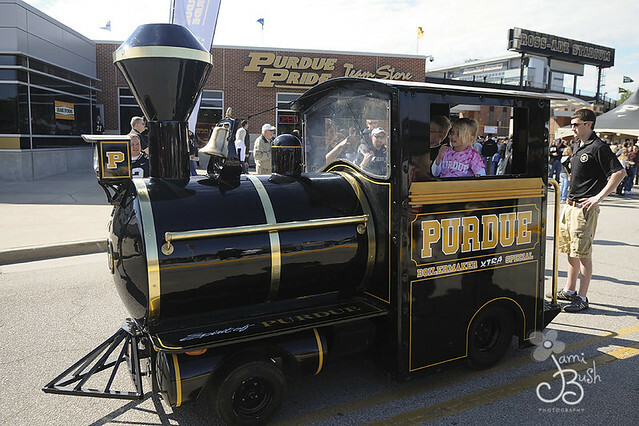 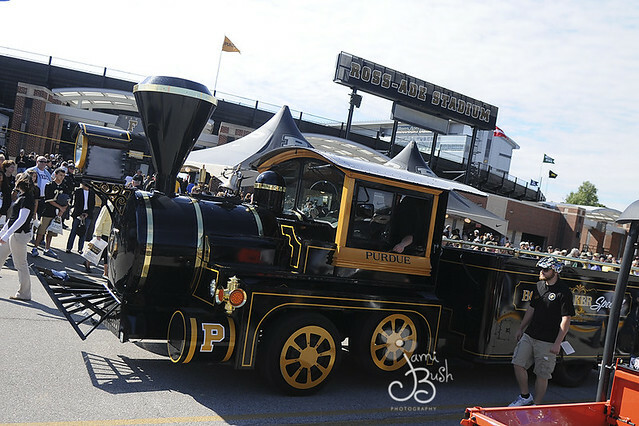 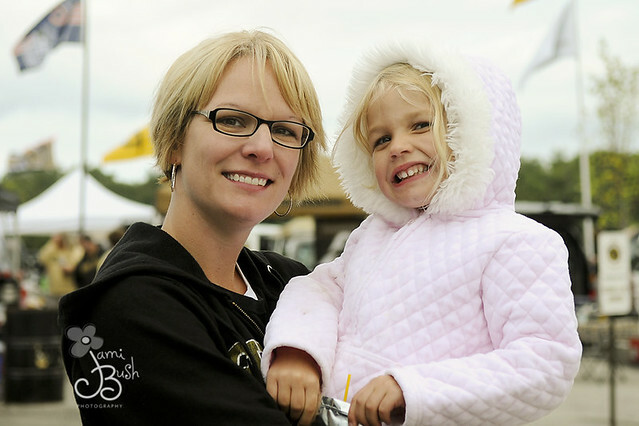 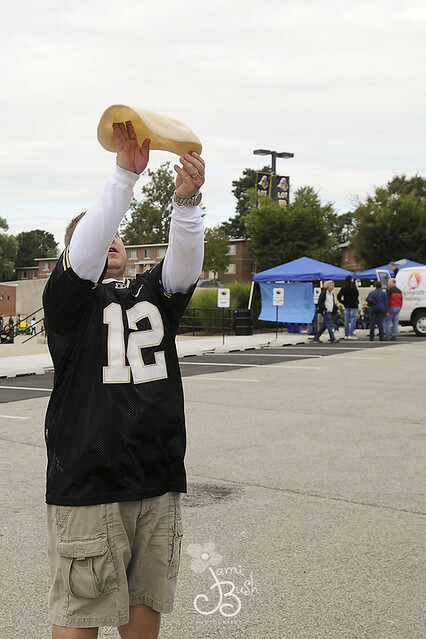 We spent Saturday tailgating for the Purdue - Southeast Missouri game. 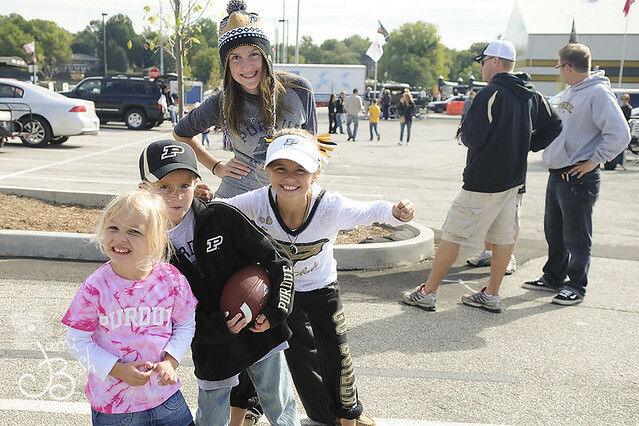 The weather was perfect, kids had a blast, and our season spot was right behind the stadium and near all the pregame festivities. 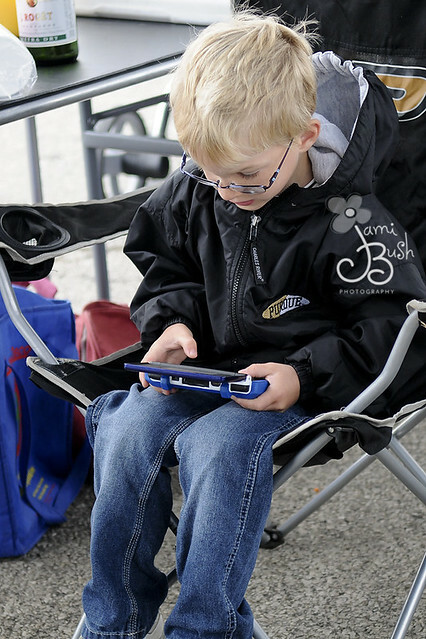 It took a little time to convince Zack to put down the DS. 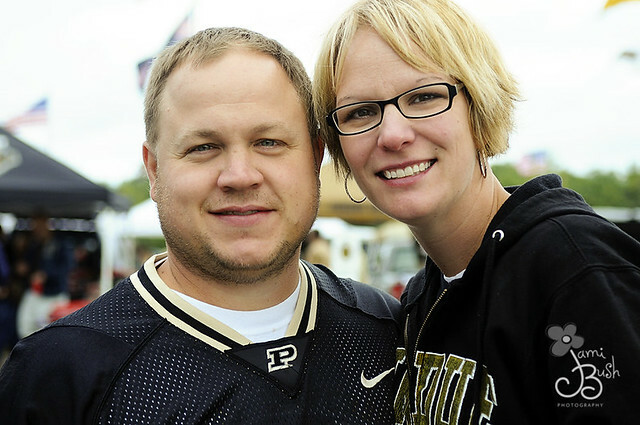 We had breakfast pizzas made on the grill then smoked chicken wings and pizzas for lunch. 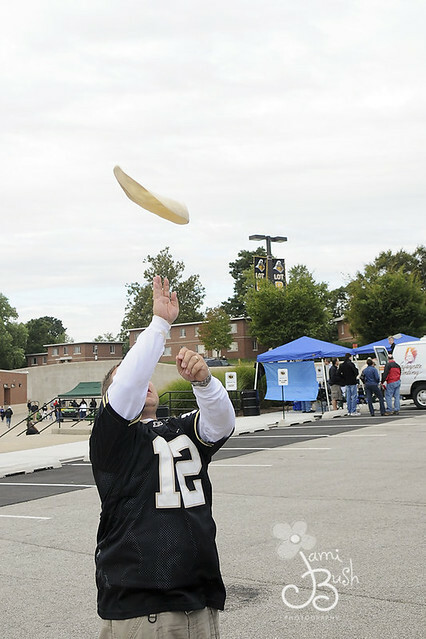 Ryan showing off his skills. 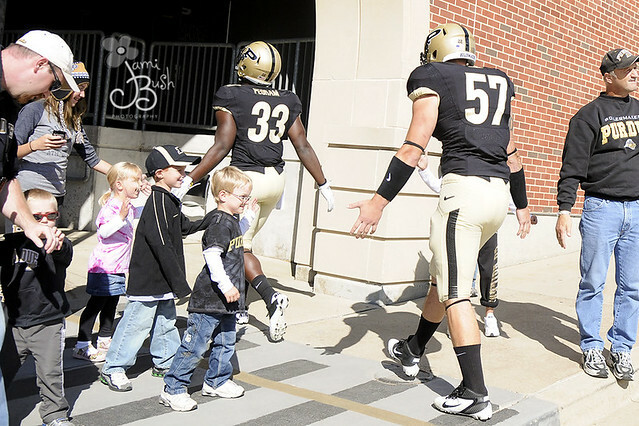 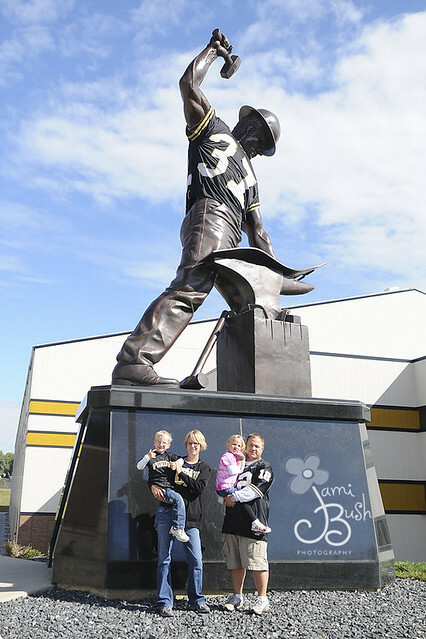 We timed the Boilermaker statue perfectly and were able to five the players as they entered the stadium. 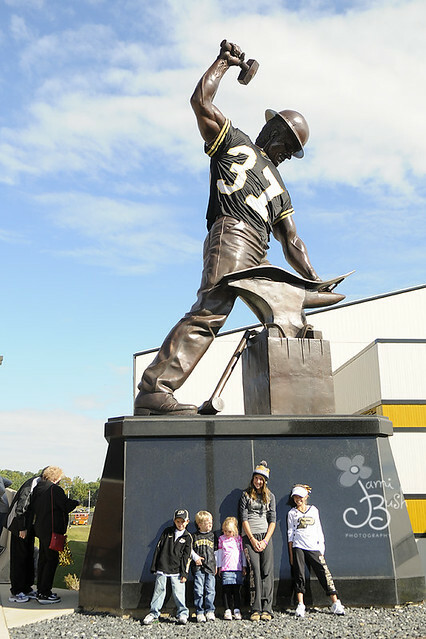 The kids were in awe!! 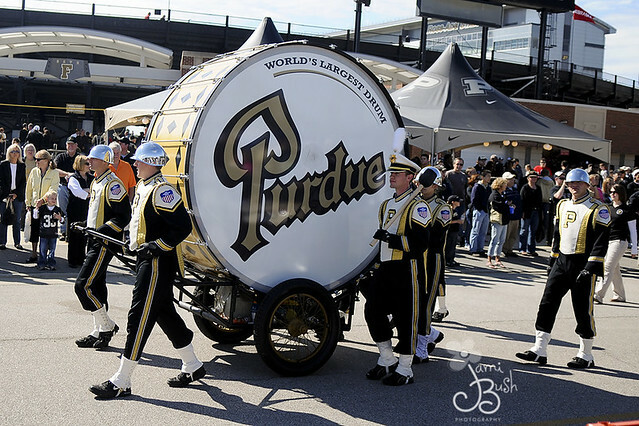 The Purdue band performed in front of us.